HELP LIZZY GET TO BURNING MAN! 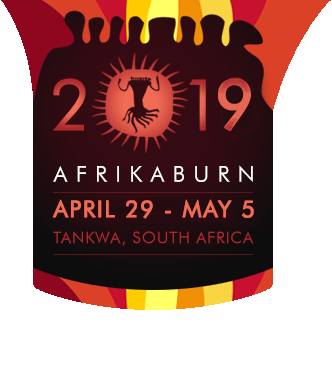 Website maintained by The AfrikaBurn ICT Team | Get involved. Please click ‘I Love Cookies’ to consent to the use of this technology by AfrikaBurn. Remember that if you don't accept cookies, many aspects of the site will not work, and you may struggle to what you need to do. Email us directly at [email protected] for more information or assistance.